The Master it’s a truly inspiring MIDI keyboard controller for professional and hobbyist musicians. 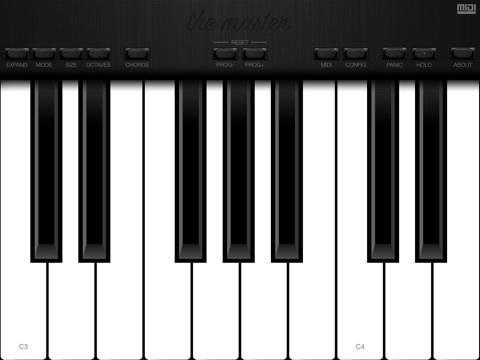 Music synesizers and sequencers includes a MIDI keyboard to arrange and compose musical parts of your work, but they are tiny and hard to play. The Master it’s the solution to this problem. 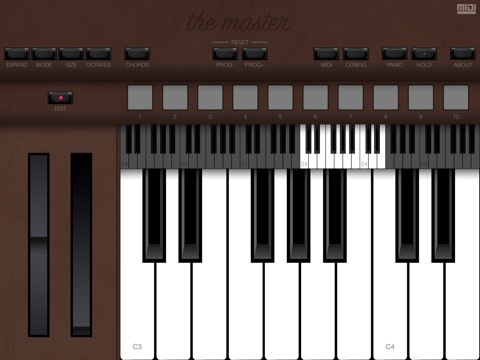 Just open it as a new instrument and assign to your favourite synth or DAW and let the music begins. The Master it’s a fast, precise and inspiring tool. You can realy change almost anything on the app to fit your musical needs. 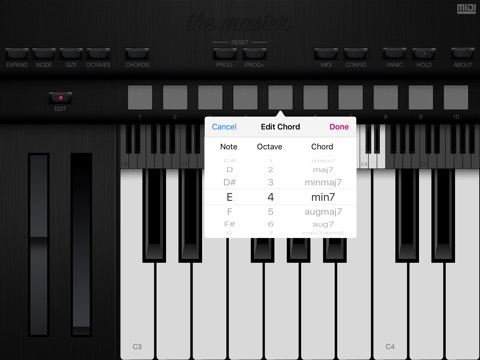 We focused on staying fast, responsive and send MIDI commands in real time. 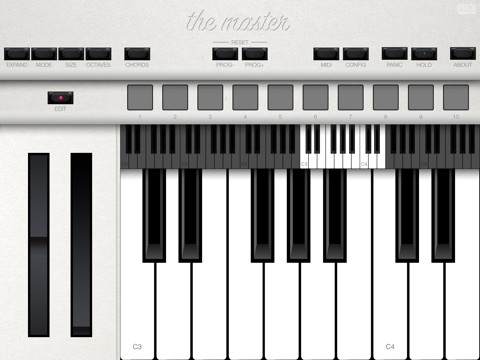 Simply open The Master, assign the output to any MIDI destination and start playing. You won’t believe how good it is.